Fiat’s parking assistant technology, used in the Fiat 500, has been put to the test in Germany with the Fiat Parking Billboard. 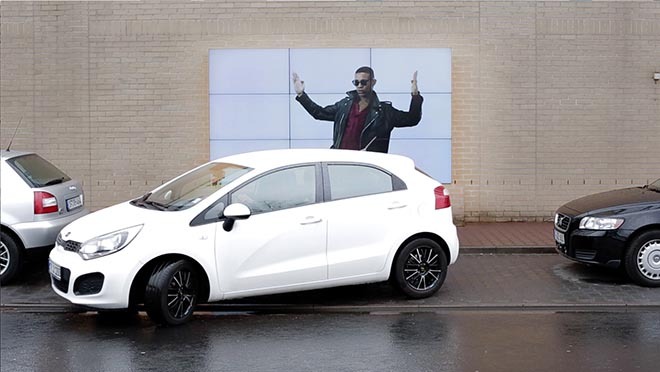 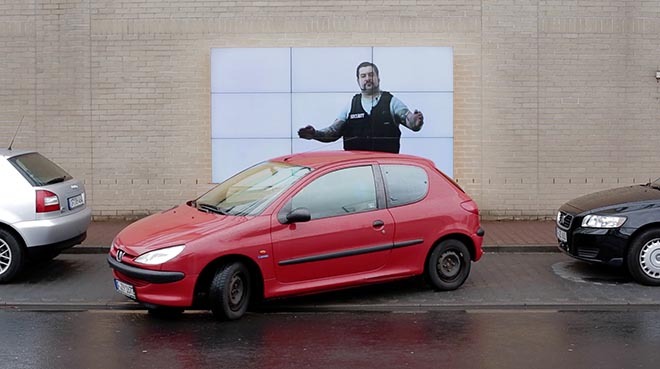 The interactive parking billboard features a range of actors moving their hands closer and further apart as cars attempt to park in front of them. Viktor Kislovskij, creative technologist at Leo Burnett Frankfurt, developed a special software to synchronize the movements of the filmed hands with the distance of the next vehicle. 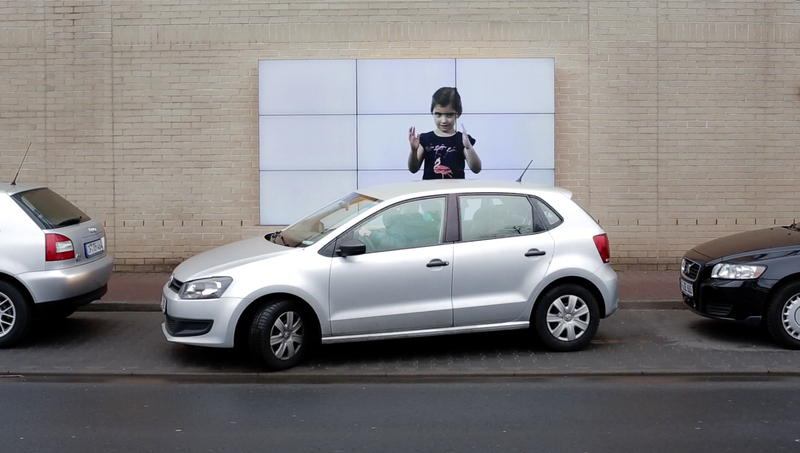 Ultrasonic sensors were attached to the video billboard and the vehicle behind which observed the parking maneuvers and operated correspondingly to the gesture of the assistants on the video billboard. 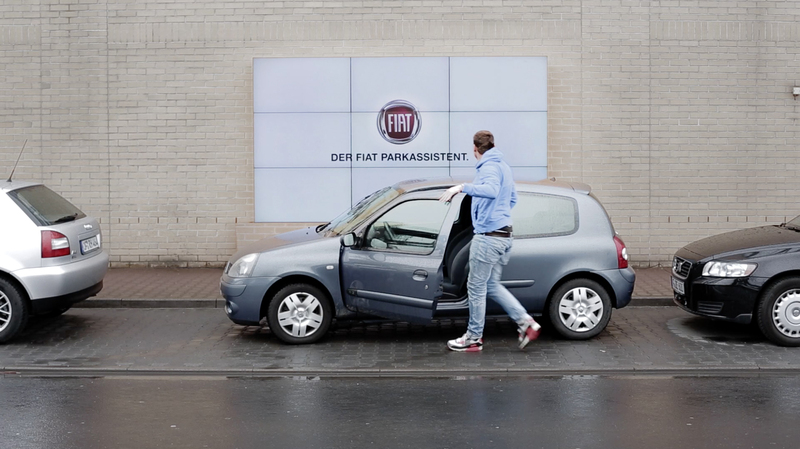 The Fiat Parking Billboard project was developed at Leo Burnett Germany, Frankfurt, by creative director Andreas Pauli, associate creative director/art director Helge Kniess, art director Daniela Ewald, copywriter Benjamin Merkel, copywriter copywriter Jörg Hoffmann, creative technologist Viktor Kislovskij, agency producers Claudia Müller and Thorsten Zeh, group account director Kirstin Schmitt and account director Alessia Bellini, working with Fiat Head of Brand Marketing Communication Maren Dragon. 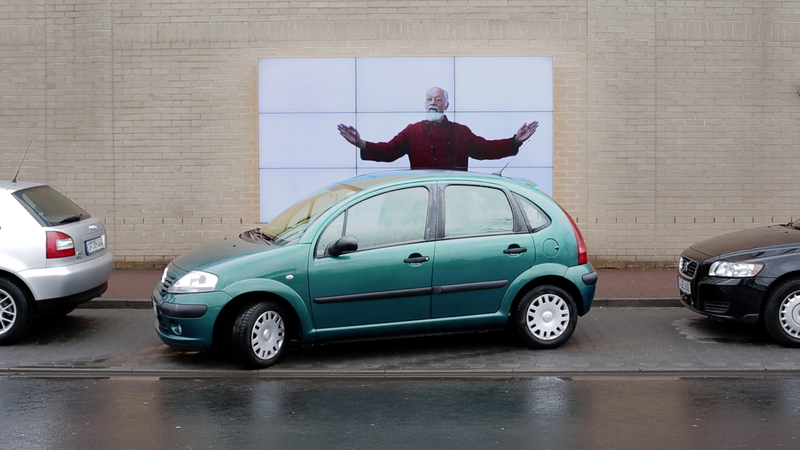 Filming was produced at LOW Films, Frankfurt, by Amadeus Kompenhans and Frederik Hamm.